Crème brûlée, which means burned cream in French, is a very appreciated French sweet. Crème brûlée is made with eggs, fresh cream and vanilla with a thin layer of caramelized sugar on top that makes this sweet unmistakable. 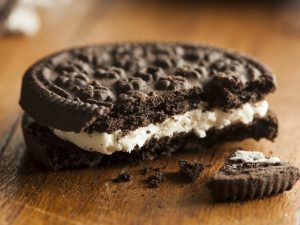 Beyond its taste, I think that its peculiarity is given by the gesture of breaking the crumbly sugary crust with a spoon. Preparing it at home is very simple, even without the proper culinary torch for burning sugar. Let's see together how to make it! 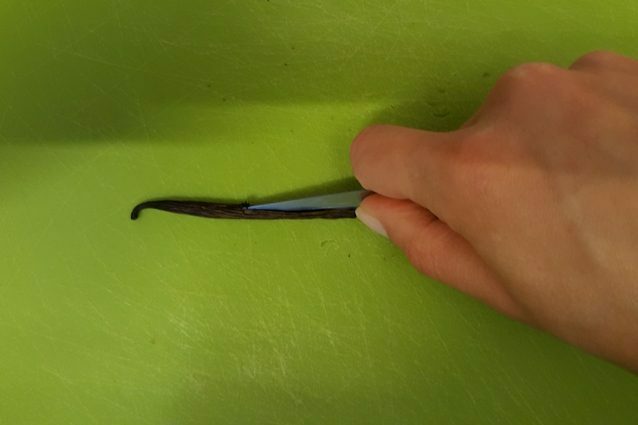 Cut along the vanilla bean and take out the seeds. 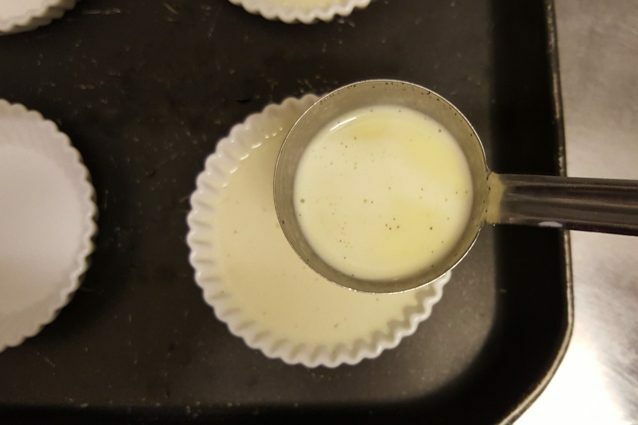 In a small pot, heat up the cream with the seeds and the vanilla bean. Bring it to a boil. 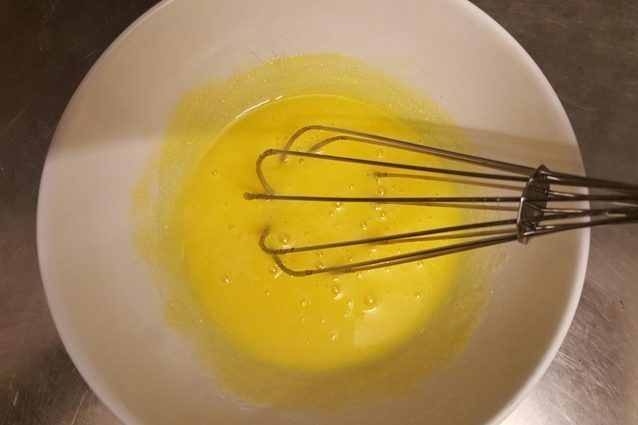 In the meantime, beat the egg yolks with sugar. 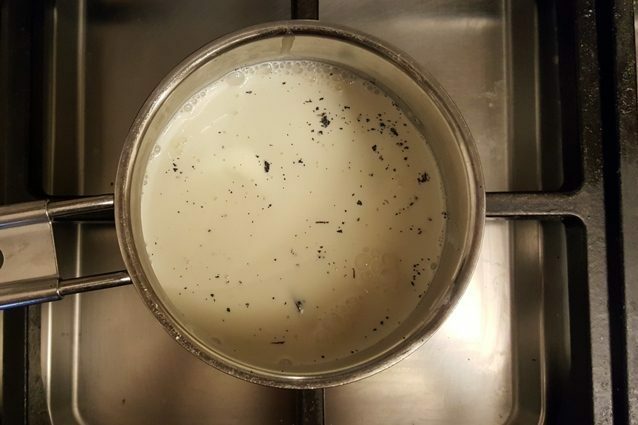 When the cream is boiling, turn off the flame, remove the vanilla bean and add – a ladle at a time – the hot cream to the mixture of eggs and sugar. 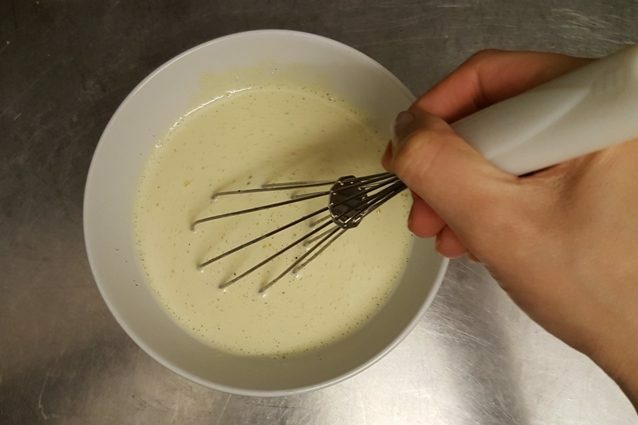 Blend continuously until the mixture is well amalgamated. 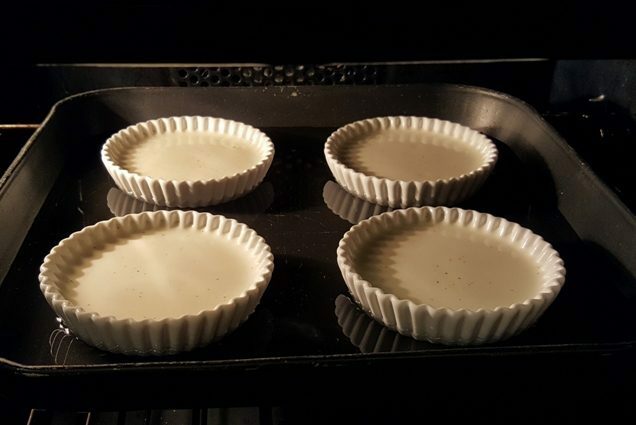 In a baking tray, place the cocotte where you will cook the crème brûlée and fill them with the freshly prepared mixture. Pour into the baking tray so much water as it will serve to cover up to the 1/3 of the cocotte. Bake at 180 °C in a pre-heated and static oven. The cooking will last about 50 minutes, or until the mixture will reach the consistency of a pudding. After cooking, take the baking tray with the cocottes out of the oven and let it cool. 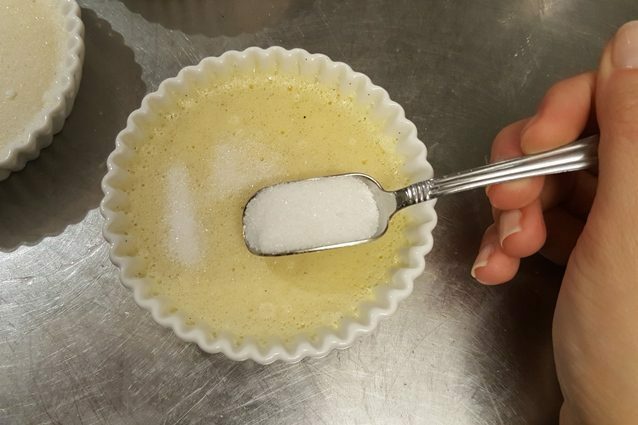 Before eating the crème brûlée, sprinkle the surface with some caster sugar and caramelize it with a culinary torch until it is golden. This operation will take a few minutes. There are two main techniques for caramelizing the sugar and give crème brûlée its characteristic crust. The first and the most professional technique is to use a culinary torch that, thanks to a naked flame, will burn the sugar. 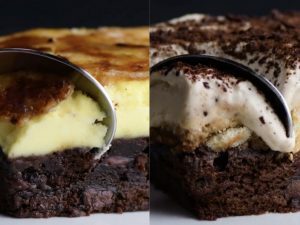 The second technique, for those who do not have the culinary torch, utilizes the oven grill which at maximum power will caramelize your crème in just a few minutes (about 4 minutes, to be exact). 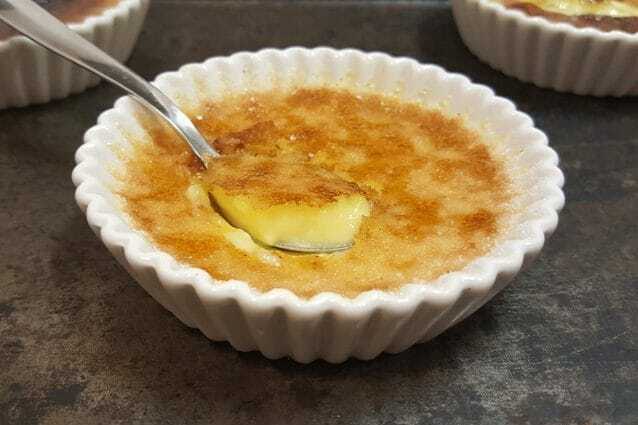 It seems that the first crème brûlée recipe dates back to 1691. Although the steps to make it were described in a French cooking book, it seems that the name derives from the Anglo-Saxon tradition. 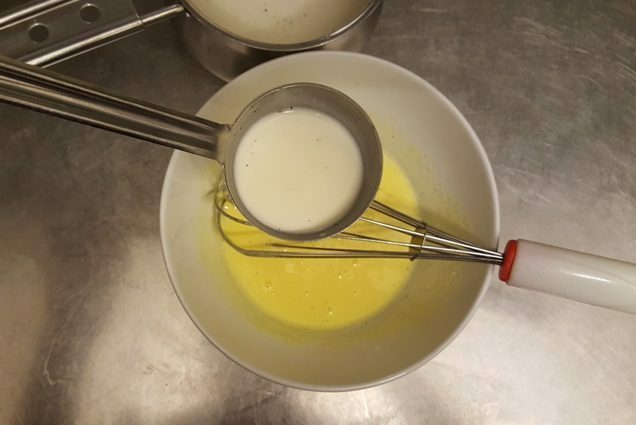 In fact, one of its historical names was "English cream" (crème anglaise). In English, today's name is burnt cream, and it is associated with Trinity College in Cambridge where, since 1879, there is a variant with the school emblem impressed with a hot iron on the sugary crust. There are two main differences between crème brûlée and Catalan cream. The first is in the cooking that in the case of crème brûlée takes place in the oven, while the Catalan cream is directly cooked on the burner. The second difference is in the ingredients, because the Catalan cream is with milk and not cream. 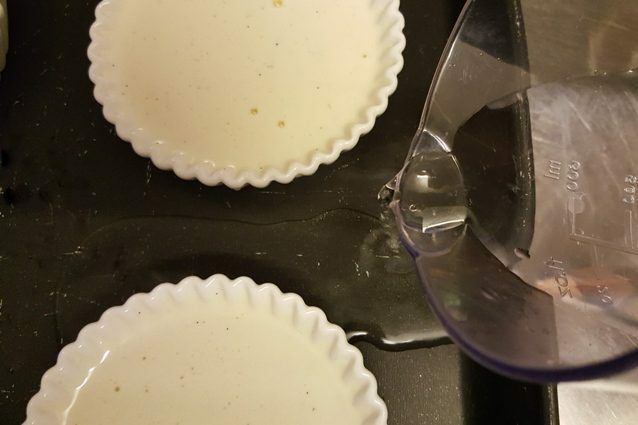 You can preserve the crème brûlée for up to one day in a refrigerator, covered by a film. If you already know that you will not eat it during the day, skip the passage of crust formation and do it just before eating.